Designed with an open concept and fully finished, this 1,809-sq.-ft. rambler features 5 bedrooms, 3 baths and a large family/great room. 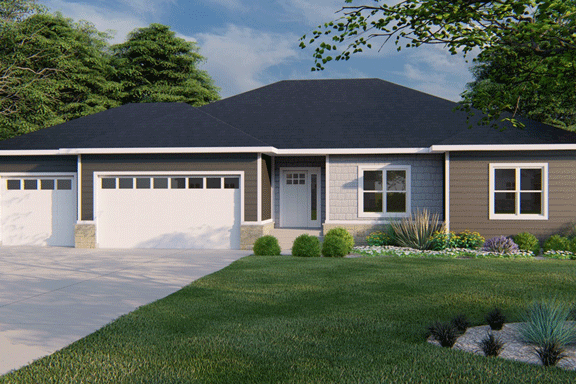 It has a spacious custom shower in the master with dual vanities and walk-in closet, main-floor laundry, drop zone with bench, and a rear-covered porch with option for a future covered deck. Other amenities include seamless steel siding, custom cabinets throughout, solid-surface tops, an exercise/storage room and an oversized family/rec area with future bar in the lower level.